Golf course living in Vista Ridge! 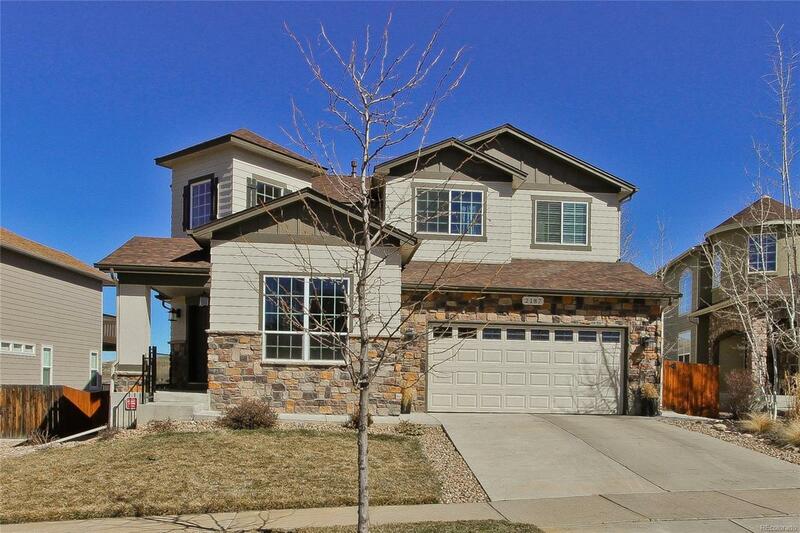 Situated on the 15th hole with beautiful views of the Front Range. Enjoy a beautiful updated granite kitchen with stainless appliances. Master bedroom has an attached office/sitting area w/a gas fireplace and 5 piece Master Bath. Walk out basement with new concrete steps front to back, patio area with a fire pit. Deck off of main floor is new Trex. Basement includes 2 bedrooms and a full kitchen with with plumbing for a washer/dryer. Perfect extra living space, or Mother-in-law apartment, with plenty of extra storage. This home has all the amentities - Clubhouse has year round Hot Tub, 2 pools, tennis courts, gymnasium, Colorado National Golf Club/ Masters Restaurant and Pro Shop. Walking distance to newest and largest King Soopers, walking distance to Black Rock Elementary School ( rated 8 out of 10 in SVSD) Centrally located to Boulder, Downtown Denver and 21 miles to DIA. Offered by Embassy Realty Llc.